I have been trying to reproduce this paper¹. Few things which are unclear to me. The paper talks about finding whether a given Room Impulse Response(RIR) is invertible or not based on Nyquist plot. 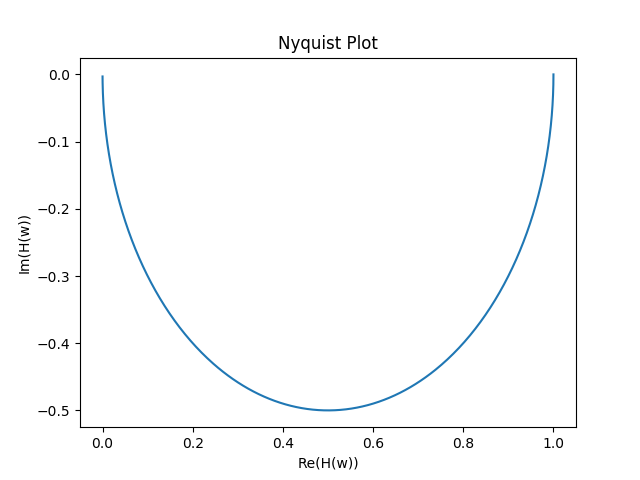 How can we plot the Nyquist plot from an RIR(using python/other opensource tools)? I understand a Z transform as having both poles and zeroes, but how do we interpret an RIR in Z plane? How do they do inverse filtering as mentioned in the paper(convolving with inverse impulse response)? How to interpret Nyquist plot of RIR in terms of its invertibility? I wrote the following code for the same purpose and thought of sharing it. For simplicity I assumed impulse response to be simple averaging type(Low Pass Filter). This code resulted the following graphs. I plotted this frequency response just for a sanity check(to make sure the numerator and denominator coefficient is taken correctly). Now I understand it the paper better :-))). Using matplotlib's bog-normal plot function! The paper introduces the inverse of a minimum phase filter in Laplace domain, simply as fractional polynomial where you've exchanged poles and zeros. If the plot does not encircle the origin, then the shifted impulse response must be minimum phase. Minimum phase impulse responses are of particular interest because their inverses are guaranteed to be minimum phase and casual. Not the answer you're looking for? Browse other questions tagged python z-transform nyquist deconvolution poles-zeros or ask your own question. 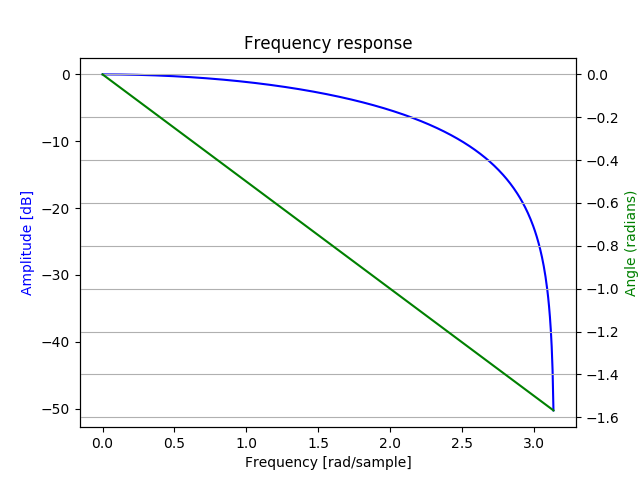 How can I calculate Reverberation Time (RT60) from the Room Impulse Response using Python?